Human Key Locksmiths can change or rekey any lock that was designed to be taken apart. Need to lock out someone who may have old keys? Just moved into a rental property and not sure how many old tennants have the keys that access your valuables? 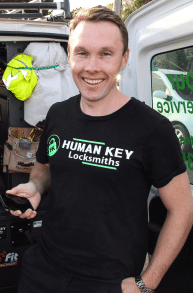 From a $77 call-out and $35 per lock Michael from Human Key Locksmiths can come to your home and change / rekey your locks anywhere in Metro Melbourne. Do I Need My Locks Changed Or Rekeyed? I am asked this question over the phone everyday. What is the difference you ask? These terms have been been confused for years by the general public so I have come up with some easy questions/explanations to help you understand. Lock re-keying is just that….. I remove the lock from your door, remove the pins that make up the current key combination, then re-pin the locks with a new combination and cut new keys to suit. I actually cut the keys prior to re-pinning the lock as that is a more efficient way of doing it. The lock is then re-installed on your door and you are issued with new keys. For piece of mind I ALWAYS give the old/original keys that used to work the lock back to the customer so that they can see/test themselves that they no longer work. Think of if your keys were stolen in a robbery. You would want to mentally know that the old keys no longer work by inserting them in the key way and testing for your self. So if you are perfectly happy with the current functionality & aesthetics of your locks however you want anyone that currently has keys to your home/business to no longer work then lock rekeying is the way to go…. Dispute with family members and the list goes on…. Lock Changing is when you are not happy with the functionality/aesthetics of your locks for a possible number of reasons. These could be old/damaged/faulty. Not secure/strong enough for the application. I see man many new homes built where there is a $3000 front door with literally a $10 lockset from Bunnings that the builder/capenter installed. Sometimes you need a combination of lock changing & re-keying on you home/business.